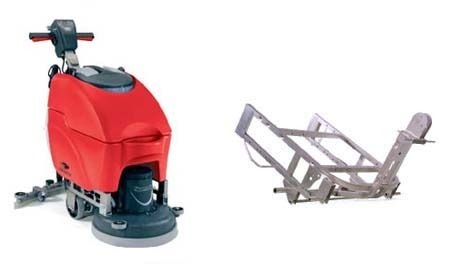 The TT3450 is a auto scrubber dryer with stainless steel chasi and Structofoam body. It also offers a patented foldable head. We are pleased to introduce ourselves as a supplier of Numatic / Charnock brand of cleaning equipments. Numatic International is a U.K. based company which is a world leader in the field of cleaning equipments. We will be pleased, if we are able to fulfill any requirement which you might have. We seek an appointment with you so that we can give a presentation of our entire range of cleaning equipments and have a detailed discussion with you.